JASON’S TOP WRITING TIP: Believe in yourself and your story. Surround yourself with experienced people in publishing, editing and design. Open yourself to feedback in regard to layout, flow and detail. Learn from these experts but at the end of the day, follow your gut. Jason Shon Bennett is a health researcher, best-selling author and international speaker. Sick and on daily medication for more than 25 years, he found a way to rebuild his body and cure himself through changing his diet and lifestyle and has now been free of illness and off all medication for nearly 20 years. He shares what he has learnt on his personal health journey to teach people all over the world how to eat well, get well and stay well. Jason is on Facebook here. Why do you write? So many people approached me and asked, “What did you do to get so healthy and stay healthy given you were so sick for so long?” and “Can you write a book about what you did to get well?”so I really just realised that there was real value for people in the journey I had been through and in sharing my experiences and learning. What would you be doing if you weren’t a writer? Ha! I would be speaking on health all over the world (which is the other thing I do!) and probably creating articles, blogging and more so it would inevitably seep out somewhere! What was your toughest obstacle to becoming published? Not thinking that my story would be relevant or credible in anyone’s eyes. A fear that I had nothing to contribute and that nobody would enjoy the book or get genuine value from it. What’s the best aspect of your writing life? I get to make a real difference to the lives of other people. I get to share knowledge that saves lives. I get to make an impact and leave the world a better place. —the worst? The final excruciating editing, deleting, checking process before the book is finally ready to go AND the fact that I have another 14 books prewritten in my head that I do not have the time to get to! What would you do differently if you were starting out now as a writer? I would talk more into a microphone (that transcribes it into words) and type less. What do you wish you’d been told before you set out to become an author? You will need far more time than you think, people around you will not understand the time it takes and you will have to edit out so many things that you do not want to let go of! 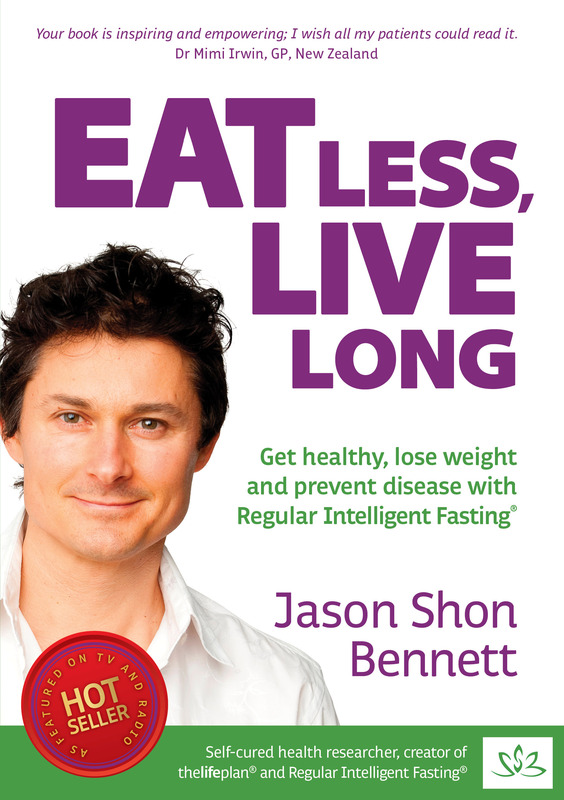 Jason says: Eat Less, Live Long takes you through the basic journey I went on to get well, and what I learnt along the way from the world’s oldest and healthiest people – including their secrets to youthful vitality and longevity. It explains the concept of eating less, the lessons of the centenarians, and the power of Regular Intelligent Fasting® (the way I fast). I show you how you can incorporate these simple practices into your daily life to make an enormous difference to your health, vitality, energy and weight. It is full of brand new international research, humour, personal experience and easy-to-follow tips on how to live a long healthy life free of drugs and disease. This includes golden ‘tid-bits’ I have meticulously gathered for over 20 years during my quest to get well. JOY’S TOP TIP FOR ASPIRING AUTHORS: While warning that getting a book published these days is not easy, don’t let that stop you. Joy Noble has worked in Australia as a social worker and administrator and in New Guinea as a community development worker. After retirement she co-founded Volunteering SA, authored a number of books on volunteer management and co-edited the Australian Journal on Volunteering for its first three years. In 2002 she was awarded the Member of the Order of Australia (AM) for services to the volunteer movement within Australia. Why do you write? My first idea of writing was after I retired from work in the area of social welfare. I was happy with most of the work I had been involved in, but knew there were areas and ways in which things could have been improved. I hoped that a book relating to my experiences might prove useful to current day workers. The book was in the format of an exchange of letters because there was a danger that I would write in technological format! The response to that book was so positive that it encouraged me to continue writing. What would you be doing if you weren’t a writer? I would find myself spending too much time on crosswords, sudoku etc. What was your toughest obstacle to becoming published? Getting published was easier 20 to 30 years ago than it is today with a number of bookstores closing and people reading e-books. What’s the best aspect of your writing life? The best aspect of my writing life is getting books published and receiving acknowledgement from satisfied readers. … the worst? The worst aspect these days is trying to find a publisher. What would you do differently if you were starting out now as a writer? I would be more inclined to produce edited collections in order to encompass the ideas of a number of people of different ages and interests. What do you wish you’d been told before you set out to become an author? Go for it! What’s the best advice you were ever given? Keep going! This illustrated children’s book aims to help children discover more about the world around them and develop a sense of curiosity. Through the pages younger readers learn about things such as how technology has changed the world, how our awesome bodies work, different animals and their roles and the power of music and its impact on the world. Educational and fun, with lots of illustrations, Wow! 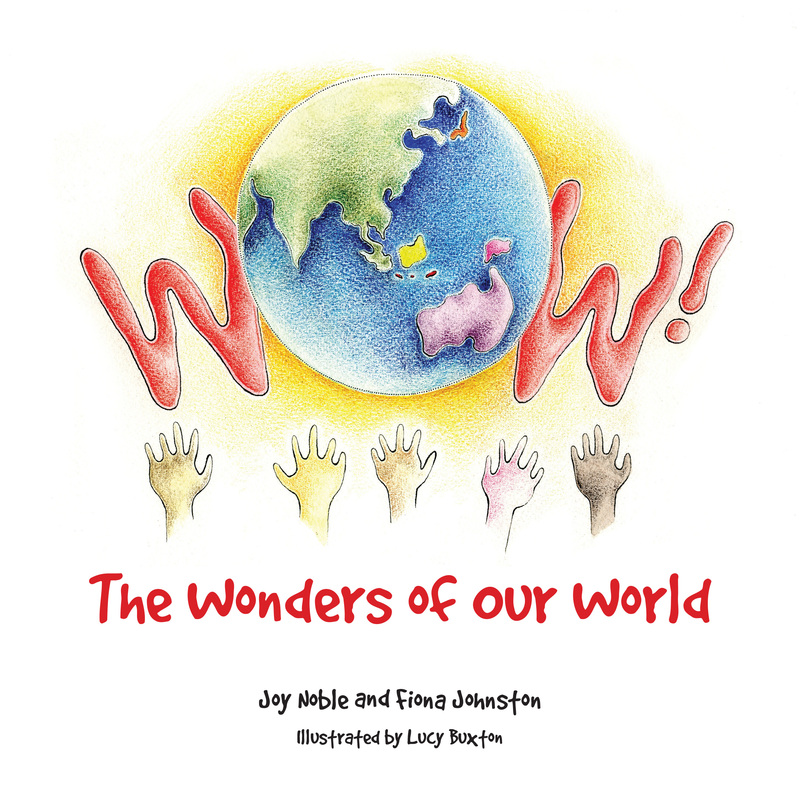 The Wonders of Our World is an engaging read for parents and caregivers looking to show kids just how amazing the world really is. LUCY’S TOP TIP FOR ASPIRING AUTHORS: To read and to write! So many aspiring authors don’t write! And they don’t read books! Lucy Cavendish is a natural born witch. She works magic every single day of her life, embracing it as a creed for personal fulfilment and happiness, and as a belief system that sees us as part of nature, thus giving us all the motivation to respect and revere and delight in our unique experience here on Planet Earth. Lucy is the author of The Faery Forest: An Oracle of the Wild Green World, Witches and Wizards, Spellbound: the Secret Grimoire of Lucy Cavendish, The Lost Lands, Oracle of Shadows and Light, Oracle of the Mermaids, Oracle of the Shapeshifters, Les Vampires, Wild Wisdom of the Faery Oracle, Oracle of the Dragonfae, As Above, So Below, The Oracle Tarot, Magical Spell Cards and White Magic. Her work is published in seven different languages and has been enjoyed and recommended by Deepak Chopra and Louise L Hay, but it’s the connection with readers that she values most of all. Lucy created Witchcraft magazine in 1992, the first magazine of its kind in the world, and currently she writes features for magickal and mainstream magazines around the world. She appears regularly on mainstream and alternative television and radio offering insights into the Craft. She is a classic book witch and adores writing and reading, listening to and playing music, connecting with the wild, surfing and creating enchanted workshop experiences. She leads journeys, called Imrammas, to the sacred sites of Ancient Briton, and teaches internationally. She moves between Sydney, the Sapphire Coast and far northern NSW. 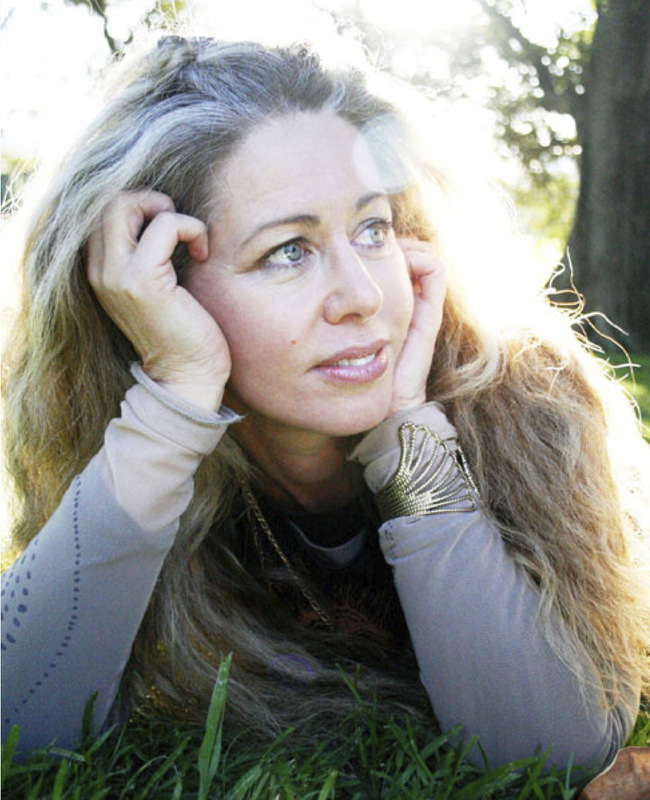 Visit Lucy’s website at: www.lucycavendish.com.au or visit her on her social media sites, which offer everyday ways to connect with her, and with the magick and wisdom within you. Why do you write? I don’t know the answer to that – but I think when I was little, all I did was trail about after my mother and beg her to read to me… so she taught me to read, early, so I could just read for myself. Then, when I was about 10, I had a very serious car accident and books got me through that time… when my heart was broken, books helped heal me… and when I couldn’t go anywhere, or have certain experiences, books can give you freedom, movement, and all the experiences you could dream of. So I write, maybe, because I love books, and storytelling, and discovery, and I couldn’t think of anything else I would rather be. It’s a compulsion, for writers, like a dancer must dance, and a singer must sing… we just have to tell stories, investigate, write…as a Witch, I write too because I want to share this very real path with people all over the world, and kind of connect us all in this magickal way. What would you be doing if you weren’t a writer? I would still be a working Witch, no doubt, but as a “profession” I truly don’t know – it’s hard to even conceive…I would hope that I would have found another way to share and share stories with people. Maybe a historian. Or a therapist. Or a performer. It’s actually almost unthinkable as I’ve been writing since I was so little…I imagine I would have just kept writing anyway. I think if I wasn’t a writer, I might actually not be myself. What was your toughest obstacle to becoming published? I was so scared to show anyone my work – I was terrified of being laughed at, or disbelieved. That was the hardest barrier to break. Rejection is not as bad as being too scared to be rejected! What’s the best aspect of your writing life? When the words come so freely and when they’re beautiful and it’s all just flowing, dancing, and you read something back and it all works and it’s got some song and poetry to it, along with the truth… when the way you tell it works with what you’re sharing… I love that when it happens. It gives me so much joy. And the other best bit – can I have two – is when someone reads it and it touches them or changes them or helps them. That’s just sublime. —the worst? That those moments of wordwitchery and magick are so rare. When it is just sheer hard work, you know, Bryce Courtenay called it bumglue – when you just have to sit and work and it isn’t flowing. I think you just have to be tenacious. And when someone doesn’t get what you’ve written, or it didn’t connect. Or they say something like, “there’s too many words.” Or when people think writing is just something everyone can do. It’s a craft and an art and it is hard work to live within the mind – and weirdly visceral too sometimes. I get sweaty and type really hard and it feels like I’ve just done a really tough workout when it’s working… but it can be so emotional! People think it’s all languid and genteel and sort of weak – bahahah! What would you do differently if you were starting out now as a writer? Nothing, because I was a little girl with a notebook when I started out. She was so cool! I’m grateful to my little self! But when I was approaching publishers? I would have encouraged myself to have a little more confidence in myself, and not wait so long. What do you wish you’d been told before you set out to become an author? That time is short. Get going, missy! What’s the best advice you were ever given? To realise that life can be short, and you might as well face your fears early on, get rejected, deal with that, and keep going. 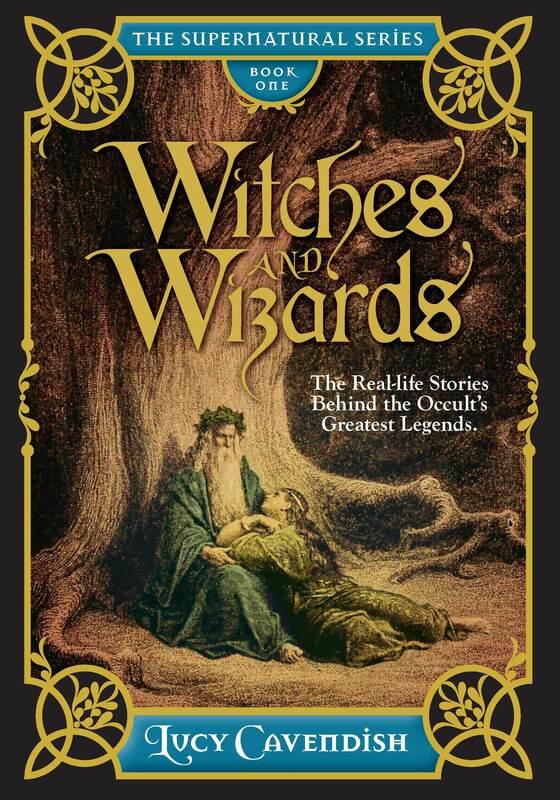 Witches and Wizards reveals the real-life stories of the most notorious and powerful occult personalities of all time. From Merlin – the legend, the reality – to the infamous Aleister Crowley, right through to the modern icons of Witchcraft, Cavendish reveals the true stories behind the legends of the Occult. Shining light on the Salem witch hunts, the Burning Times and the Witch Wars, Witches and Wizards is a thrilling read for anyone who loves the mysterious and the strange.